Many single people are looking for that one special person to have a relationship with. 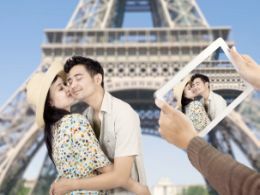 Despite failed relationships and even marriages, most people desire an intimate connection with a partner, and one with whom they can share life with. A big complaint with many single people is that they can’t find that special soul mate. After countless dates, they cannot seem to feel that special love on a deep level, which can be quite frustrating. It seems that they have not tapped into using the law of attraction for love. In order to really tap into the powerful law of attraction for love, you must take inventory of your current thoughts and feelings toward love and your past relationships. If you are carrying pain or anger from a former relationship, take some time to process through those feelings. Let go of the negative thoughts and feelings and remember the good times and lessons learned. If you are full of negative emotions, according to the law of attraction for love, you will actually be attracting into your path a person who also harbors negative emotions. You are always attracting to you people, things, and circumstances with the same vibrational frequency that you have, so it is important to be energized with a high vibration so that you will attract a possible soul mate with the same vibration. A good number of people believe that they have a soul mate. They think that somewhere on this planet is that special someone who they have dreamed about their whole lives. It is important to have such positive thinking according to the law of attraction, because according to the law, our thoughts attract what we get. It is wonderful to realize that you can tap into the law of attraction for love by dreaming and visualizing your soul mate. Use the law of attraction for love and begin to visualize your soul mate frequently. Make a list of the important things you want in a man or woman and envision the two of you having fun times together. Be positive and expect that any day you could meet that special person and share an extraordinary life with. Daily affirmations are also great ways to speed up your manifestation. You could start your day by saying “I deserve a fantastic guy/girl and he/she is coming my way right now”. As you work with visualizations and positive affirmations, the law of attraction for love goes to work with you. Your thoughts and visions, along with the powerful energy behind the law, attract that soul mate to you. You are continually creating your life with your thoughts, so be sure to keep reign on your mind and think positive thoughts throughout your day. Offer gratitude for your soul mate TODAY! As you do so, offer gratitude for your soul mate – even before he or she manifests. Say, “I am so happy and grateful for my precious soul mate”. Feel the excitement and passion. Wake up each morning in eager anticipation and thank the universe for an awesome partner and life. The law of attraction is one of the most powerful laws in the universe, so don’t hesitate to use it on a daily basis and expect only the best life full of joy and abundance.